Robert Hoagland has been missing since last year. Family and friends of a Newtown man who went missing a year ago say they remain hopeful he'll turn up unharmed somewhere. They're also worried the police investigation has fizzled out. Fifty-year-old Robert Hoagland was supposed to pick his wife up at John F. Kennedy International Airport in New York on July 28, 2013, but he never showed up. Relatives and witnesses say he disappeared after he stopped at a local bagel shop and then got gas and a map at a Mobil station in town. His wife, Lori Hoagland, told The News-Times that it has been difficult not knowing what happened to her husband and whether he is OK.
Newtown Police Chief Michael Kehoe says his department is still putting a lot of effort into finding Robert Hoagland. 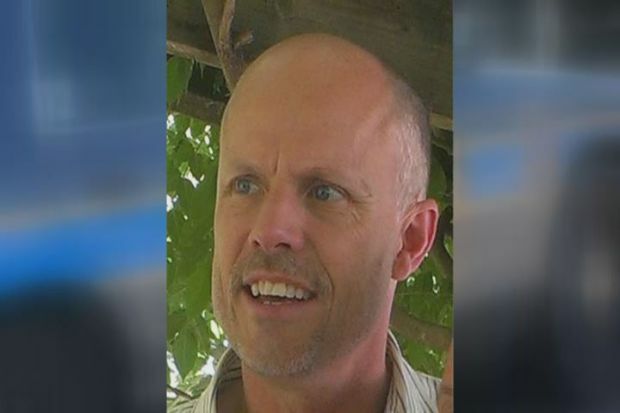 Family, friends and police are looking for Robert Hoagland. He was last seen at a Mobil gas station in Newtown on July 28.